Having worked for one of Australia’s largest banks for more than 20 years, Eddy Ku, at 43, suddenly found himself out of a job last December. His position as innovation lead had been eliminated. To help him transition to new work, the bank paid for him to use Transition Hub in Sydney, where formerly employed people from different walks of life—whether ex-bankers, athletes or military personnel—come together to “reset” and build skills to adapt to a new future: one where automation and artificial intelligence (AI) can free employees to do more creative, strategic types of work—or put them out of work altogether. Transition Hub’s founder, Louise Watts, spent the last 15 years running professional-development programs for some of the world’s biggest banks. Instead of counting on full-time employment, she says, many people will have to reimagine their futures. “We’re seeing the rise of the freelance, entrepreneurial, independent worker, with people taking more responsibility for their own careers,” she says. In 2016, there were more than 50 million freelancers in the US. By 2020, some believe, 50% of the US workforce will be contractors. In Eddy Ku’s case, the week he spent at Transition Hub gave him the skills and confidence to start a business, management-consulting firm Innovations Accelerated in Sydney, which helps banks solve the resourcing and skills challenges they are likely to face as they compete for customers against more agile fintechs. He has even sold his company’s services back to the bank that sacked him. Ku is not an isolated example. Many of his former colleagues face an uncertain future as Australian banks make huge cutbacks due to increased automation, derisking and the growing use of AI for repetitive manual-type tasks. In 2017, National Australia Bank announced 6,000 job cuts over the next three years as part of a $1.5 billion restructuring plan—but said it would also create 2,000 new digitally focused positions. Many experts anticipate that “Industry 4.0,” the current trend of automation and data exchange in manufacturing technologies, also called the fourth industrial revolution, will have a more profound and pervasive impact on work than previous such revolutions. Robots don’t take holidays or demand perks. Will Uber or Deliveroo even need drivers in a future of driverless cars and drones? Will factories be the main source of production when stuff can be 3D printed? And will the Big Four accounting firms need human auditors when audits can be fully automated and done more “intelligently” using blockchain and AI? There’s no question that the world of work will be very different in the future, but whether the overall impact of technologies like AI and robotic automation will be more positive than negative is harder to assess. A 2014 Pew Research Center study found that 48% of the “expert” respondents it surveyed believed AI and robotics would displace blue- and white-collar workers, with many fearing social disorder and mass unemployment would result. But 52% said technology would not displace more jobs than it creates. A 2016 Pew survey found that “65% of Americans expect that within 50 years robots and computers will ‘definitely’ or ‘probably’ do much of the work currently done by humans,” but 80% of respondents thought their own jobs would be exceptions. 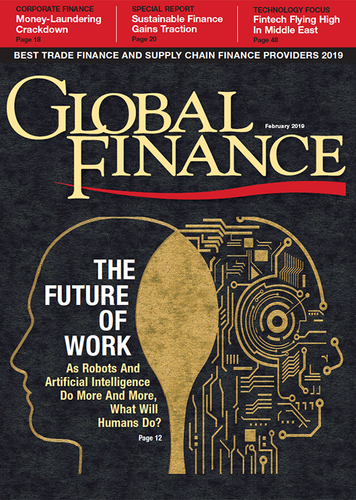 A WEF survey of top human resource officers and strategy executives across 12 industries and 20 developed and emerging economies last year suggested that automation in the workplace would displace 75 million workers in the next five years, while creating 133 million new jobs—for a net gain of 58 million jobs, . 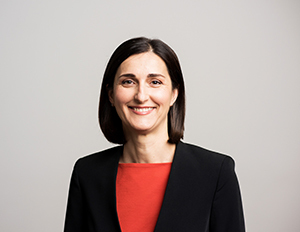 Natalia Nikolova, director of the just-launched advanced MBA program at the University of Technology (UTS) Business School in Sydney, discounts as hype estimates suggesting that 50% of jobs will be eradicated by automation. “Some jobs will disappear, but others will be created,” she says. After all, someone will need to keep the robots honest. Technology-driven shifts in the workplace are not confined to developed economies. More than 40% of Asia-Pacific business leaders surveyed by the Economist Intelligence Unit in 2017 said they expected AI to start displacing jobs in the next five years, including their own positions. And a study last September by Oxford Economics and Cisco of 433 occupations across 21 industries in the six largest ASEAN countries—Indonesia, Malaysia, the Philippines, Singapore, Thailand and Vietnam—concluded that by 2028, approximately 6.6 million workers’ jobs across these countries would be rendered redundant by the adoption of robotic automation and AI. It’s not all bad news for humans. In addition to highlighting the potential job losses from automation, regional-development banks in Africa, Asia, Europe and the US point to the positive impact technology can have in developing countries where productivity is currently low. “Technological progress could allow the countries we work with to grow faster and attain higher standards of living more rapidly than ever before,” concluded a 2018 report by a group of African, Asian, European and other development banks. The biggest risk, they concluded, would be for countries to miss out. In China, the last industrial revolution saw workers move to the city to take jobs in factories. India’s software engineering and language skills have helped it to become the offshoring center for many developed countries. But will the retain that status as labor costs rise in China and offshoring to India is replaced by reshoring to developed economies? So far, China has proven its resilience with the growth of e-commerce and internet giants like Alibaba and Tencent; and in India, new jobs are being created in the crafts and trades, information and communication technologies, software development and pharmaceuticals. The experience of Africa and Latin America, however, demonstrates that the introduction of newer technologies without the correct political and economic climate does not always produce positive outcomes. While AI and robotic automation could significantly transform Africa’s agricultural, manufacturing, services and infrastructure sectors, the development banks believe the continent will struggle to fully capitalize on these opportunities because of a dearth of suitably skilled workers. Because Latin America and the Caribbean are slower than most regions to adopt newer technologies, the impact of automation on jobs, and the associated productivity gains, may not materialize for some time. Skills shortages are not just a developing-world problem. A 2018 Deloitte global survey of C-suite executives that focused on readiness for Industry 4.0 found that only about one in four were “highly confident” they had the right skill sets in place for the future; and just 14% were highly confident their organization was fully prepared to harness future work opportunities afforded by technological advances. “In the future, the war for talent will intensify considerably,” says David Clift, interim HR director at Blenheim Chalcot, a UK digital-venture firm. In the past, companies in developed countries were able to tap into growing workforces in Eastern Europe, India and China. But China’s and Europe’s workforces are aging, so companies that want top talent in the future will have to work harder to find it, says Clift. UTS Business School’s advanced MBA program teaches traditional subjects such as financial management and accounting but also focuses on social and collaborative as well as digital skills. “No manager in future will be able to say, ‘I don’t understand digital’,” says Nikolova. “They’ll need to understand Big Data, algorithms, AI and blockchain.” As part of the course, students will spend time in a digital lab creating prototypes for software algorithms. While the MBA is still perceived as being valuable by employers, Nikolova says that in 10 or 20 years this might not be the case. By then, the emphasis will be on lifelong learning and short bursts of educational activity rather than two- or four-year degrees, she predicts. Retaining talent will also be a greater challenge in the future as the workforce continues to change. Millennials, roughly speaking those born between 1980 and 2000, are already the largest demographic in the US workforce, making up approximately a third. By 2025 they are expected to account for close to 75% of the global workforce.